First of all, it is expedient to keep your private life private and your public life public. The chief reasons for this thought is simply because of security and safety reasons. Many lifes , homes, emotions and career etc have been battered and destroyed when they made their private life public. 1. Your Love Life: This includes your relationship i.e your spouse and kids. Putting up every picture of your wife and her details on Social media can spell doom. Flaunting your kids on Social media especially with their school uniform on, is not a safe decision in the Era of kidnapping and obscene crimes. 3. Your Next move: We live in a competitive world. Ideas not yet developed shouldn't be shared, else, someone else will be making money from an idea you shared with them in which they acted on before you did. In any invention, the first mover theory/strategy usually suffice. So be careful what you share with people. Do you Know anything else that should be kept private in your life? SHARE YOUR THOUGHTS IN THE COMMENT FIELD BELOW. Establishing a strong professional network can benefit your business several ways, from receiving feedback by bouncing ideas off successful entrepreneurs and business owners to opening doors that were once closed — building your professional network should be something you are always working on. The right connections can open doors with some amazing opportunities behind them, so here are eight tips to help you grow your professional network. 1. Make your presence noticeable. You have to make sure people know what you are doing and what you have in the works — otherwise nobody will ever know. 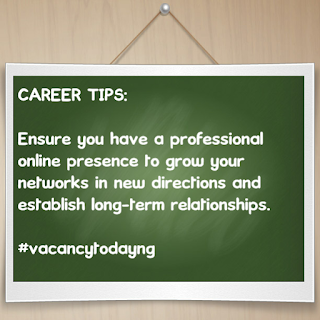 Keep in touch with your professional contacts via email, social media and face-to-face meetings. When you maintain contact you remain on their radar, which can result in them name-dropping you to their contacts. A simple, “Oh, I actually know somebody you should contact” can occur simply because you kept your presence noticeable. 2. Attend networking events — online & offline. Every industry has conferences and trade shows that provide great networking opportunities. There are also local meet-ups and local organizations that hold regular events that are great for building your network. 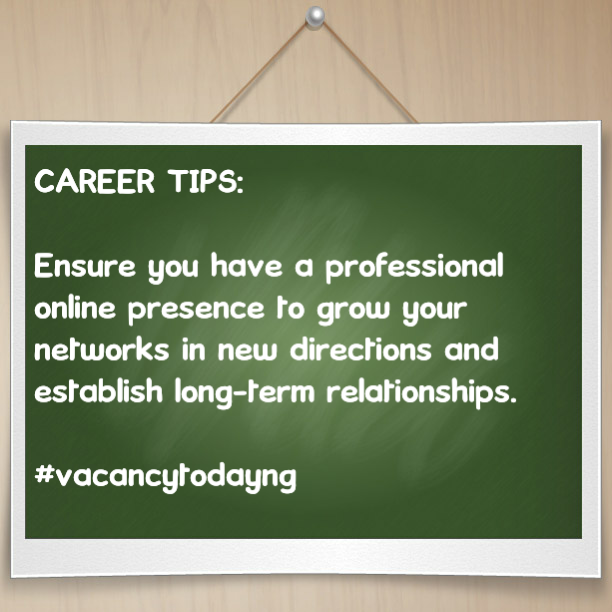 Many people forget that there are also plenty of networking opportunities online. LinkedIn groups are great and Twitter chats are becoming very popular these days. I personally love Twitter chats because they allow a huge group of people to participate regardless of their location. 3. Hang out at the same places the people you want to connect with hang out. This applies to both online and offline — as mentioned above, LikedIn groups and Twitter chats are great places to connect. If you want to connect with a certain group online then participate and introduce yourself. Offline this could be a particular lunch spot or a happy hour bar after work. Frequent the places that the people you want to connect with can be found at. Be friendly and social and you will make new connections. 4. Don’t always take — give as well. When networking don’t always make it about you — make sure to share you knowledge and expertise and offer to help when you see an opportunity. Helping other people will often come back to you tenfold. Helping someone is going to give them extra incentive to return the favor. Being a connector will also help your long-term networking — connecting two people you know who will benefit from knowing each other strengthens your network. The key takeaway: don’t be selfish and think of how you can help everyone you come in contact with. When out networking don’t always try to dominate the conversation by talking about yourself - instead, listen to other people talk. First, people naturally love to talk about themselves, so if you can show that you are genuinely interested in what they have to say it will help to build that connection. Also, by listening you can identify specific challenges someone may be having — and if you can help in any way or offer a suggestion it will help to strengthen the relationship. 6. Never be afraid to ask. This one is short and sweet — if you want something you can’t be afraid to ask for it. Want an introduction? Ask for it. Want a meeting? Ask for it. Want advice or feedback? Ask for it. 7. Always think about long-term relationships. Making a connection and exchanging business cards is a foot in the door, but it’s long-term relationships that lead to business deals. Concentrate on forming long-term relationships that are mutually beneficial for both sides. Make a conscious effort to establish a two-way street for all of your professional connections. 8. Follow up with everyone you connect with. Make sure that you follow up with every connection you make. If you come home with a few business cards make sure to take a few minutes the next morning and send an email letting the person know it was a pleasure to meet them. This is also a great time to let them know they should reach out to you in the event that you can ever help them in any way. Also, if you promise to do something — do it. There is nothing worse than not following through with something you told someone you would do. 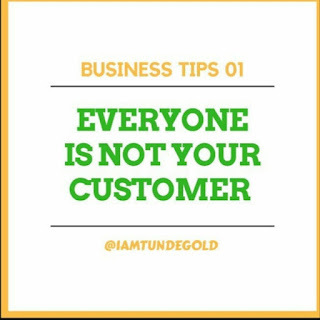 BUSINESS TIPS 01: Everyone is not your Customer. <<<<< I WILL BE STARTING A TEACHING SERIES TAGGED 'BUSINESS TIPS,' STARTING FROM TODAY. (IT WILL BE A SEVEN(7) POST SERIES.) 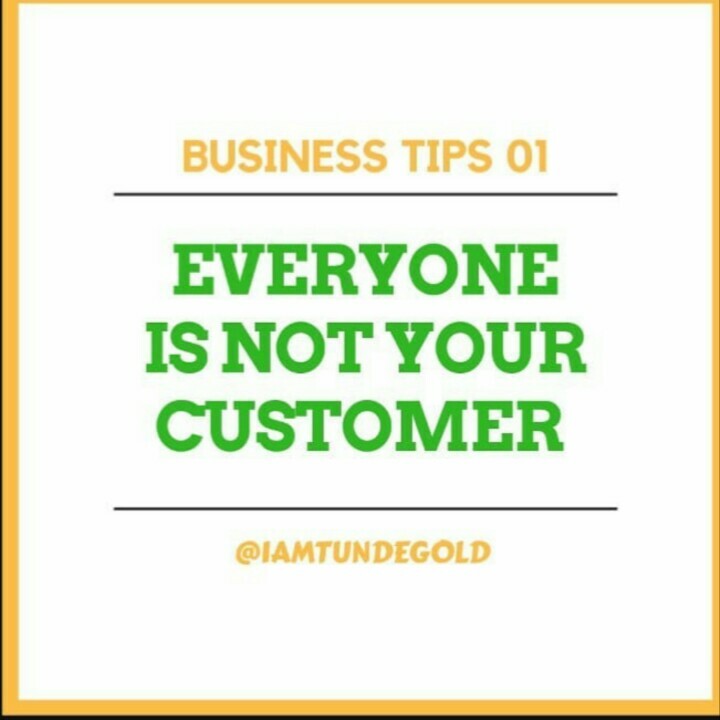 DROP YOUR COMMENTS AT EVERY POST, LET'S LEARN TOGETHER, yippee 🙌>>>>.... .
Don't just reach out to everyone, make sure you are targeting to those people who really need your product or service. This would only amount to waste of resources, time and energy. 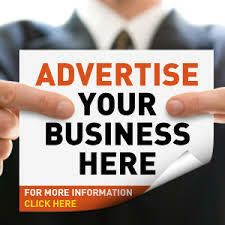 The best strategy is to focus all your marketing campaign to only those who have the potential of becoming customers. Lead generation is Bae in Marketing, but how do you generate leads that will convert to real sales? DIGITAL MARKETING IS THE ANSWER.